I have a trench-inspired jacket like this that I bought ages ago and what I love most about it is that it's both indoor and outdoor-worthy. 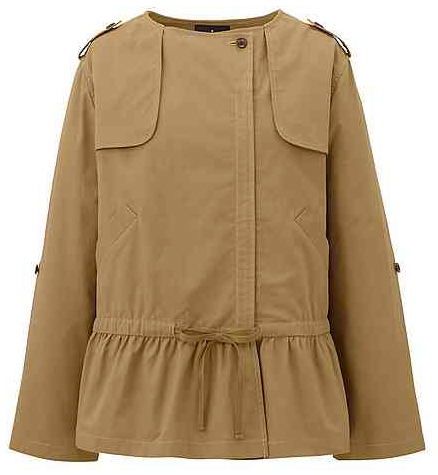 Cleverly, this one has buttons on its sleeves so you can roll them up and costs a mere $59. I just bought that aerie sweatshirt! Marlien, you have no idea what a boost this gives me to feel as if I have your stamp of approval. Now heading to check out that great jacket. Your posts are always inspirational, aspirational, or both. Thank you!